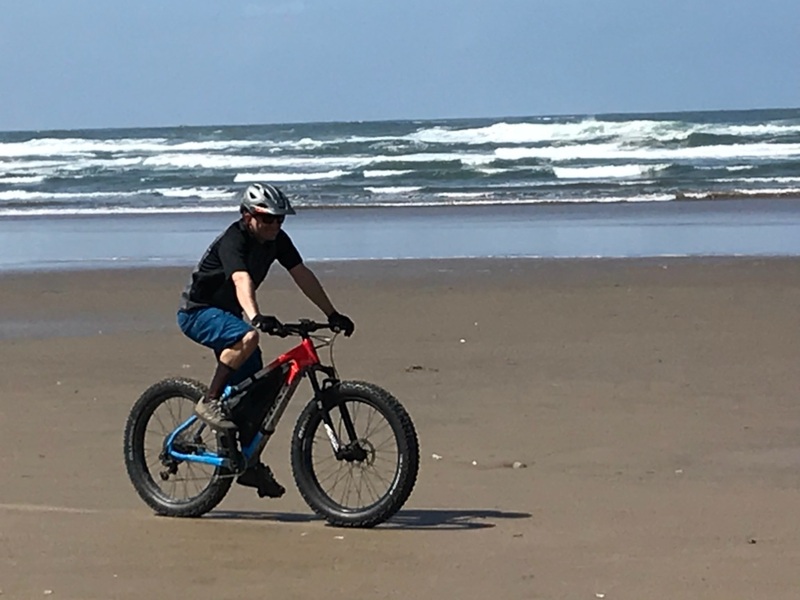 Home Oregon Minded Fat Bike Festival On The Oregon Coast Happening In May! The Cannon Beach Fat Bike Festival is one of the most scenic Fat Bike Festivals in the world. 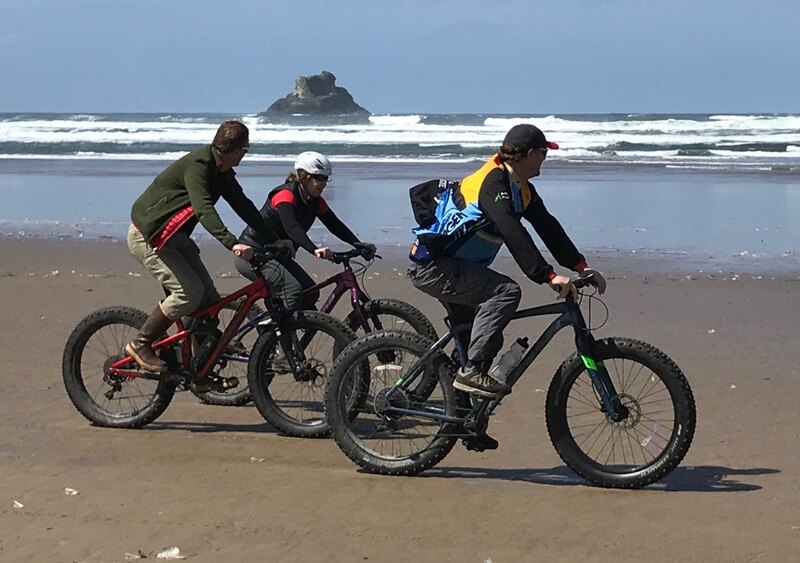 The Cannon Beach Fat Bike Festival is one of the best events of the year! 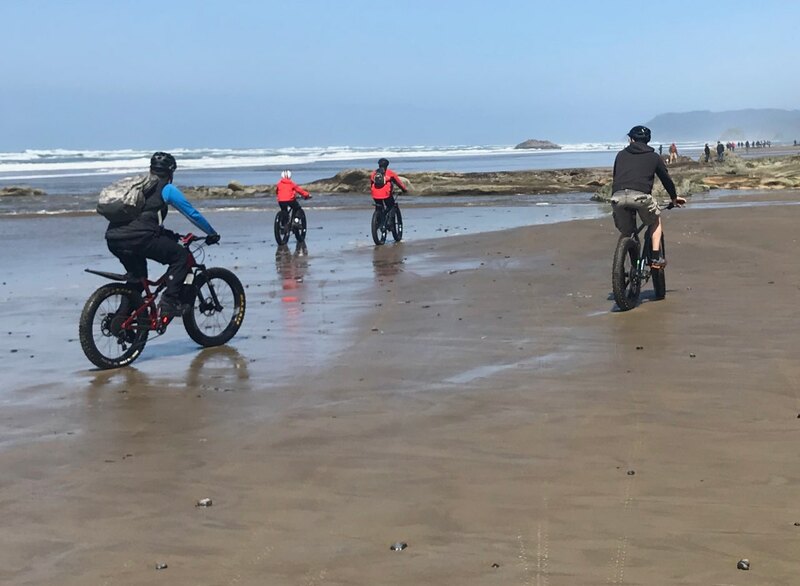 If you ride a fat tire bike, there’s no better place to be than riding your bike around Hug Point on the scenic Oregon coast with fellow fat bike enthusiasts. With races, poker rides with awesome prizes, tasty food, amazing beer and good company, you can’t go wrong! Check out this video of last years amazing Cannon Beach Fat Bike Festival! What Is A Fat Bike Festival? A fat bike is an off-road bicycle with extra wide tires perfect for soft unstable terrain like snow, mud, and sand. A fat bike festival is a place for fat bike enthusiasts and riders to get together and spend a weekend enjoying each others company, enjoying good food, and riding fat bikes. A fat bike is an off-road bicycle with extra wide tires perfect for soft unstable terrain like snow, mud, and sand. Fat Bikes are also called ‘Fat Tire Bikes’ and ‘Snow Bikes’. 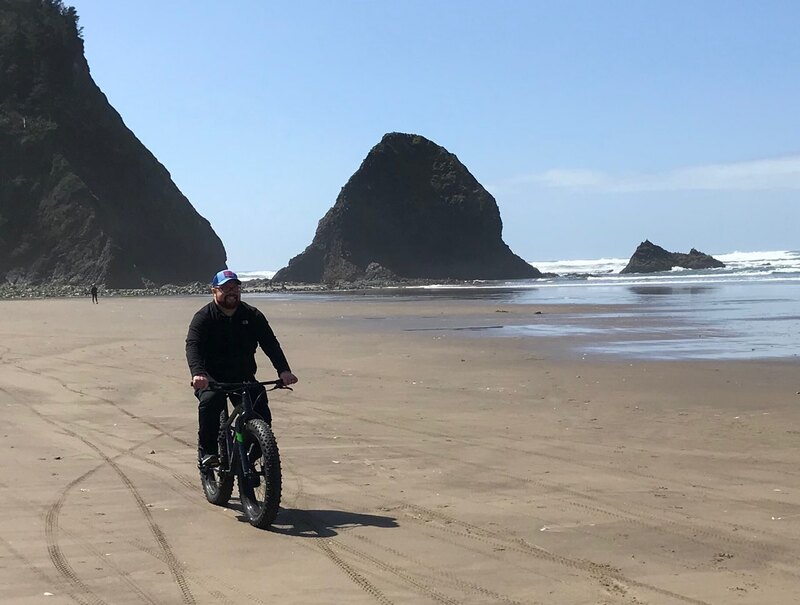 What makes Oregon’s Cannon Beach Fat Bike festival so special is that it takes place on one of the most scenic coastlines in the Pacific Northwest. 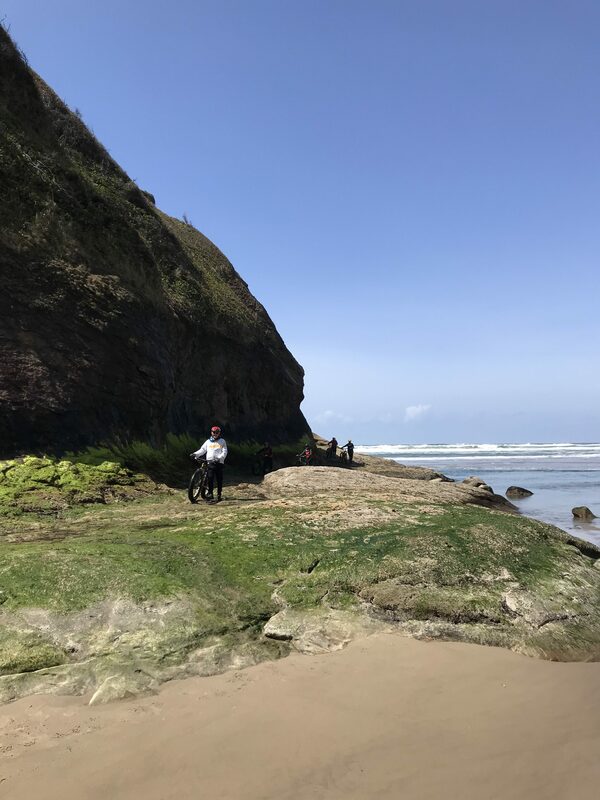 Riders will get to ride their bikes around Hug Point, around the community of Cannon Beach, and to a nearby waterfall. There’s nothing quite like a sunset beach ride, or enjoying good brews around a full moon bonfire, and you won’t find a better group of people to enjoy riding with! Enjoy a full moon bonfire on the coast! 5-7 pm: Welcome Party & Registration/Packet Pick Up. 7 pm: Four mile sunset group ride from Ecola Creek to Tolovana and back to kick off the weekend. 8:30-11:30 am: 13-mile beach ride from Ecola Creek to waterfall and back. 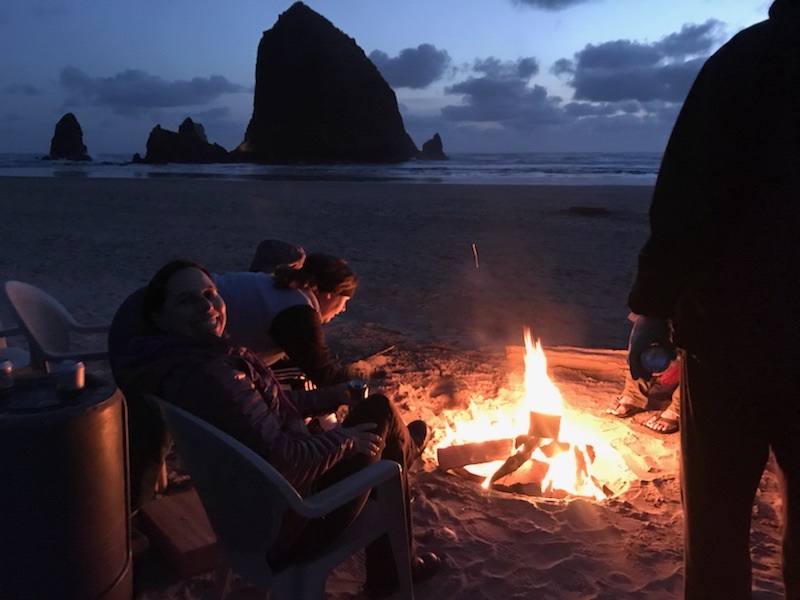 12 pm – 4 pm: Scavenger Hunt/Poker Ride in Cannon Beach. Win awesome prizes! Final stop at Pelican Brewery! 6:30 pm: Group ride to Full Moon Beach Bonfire. 7-9 pm: Full Moon Beach Party with s’mores, beverages and beach games (bike limbo, criterium, and slow and fast races). 11 am – 1 pm: Fat Bike Beach Art Project and/or Beach Clean-up with Surfrider and HRAP. 12 pm – 2 pm: Bike Mural Window Project with HRAP. 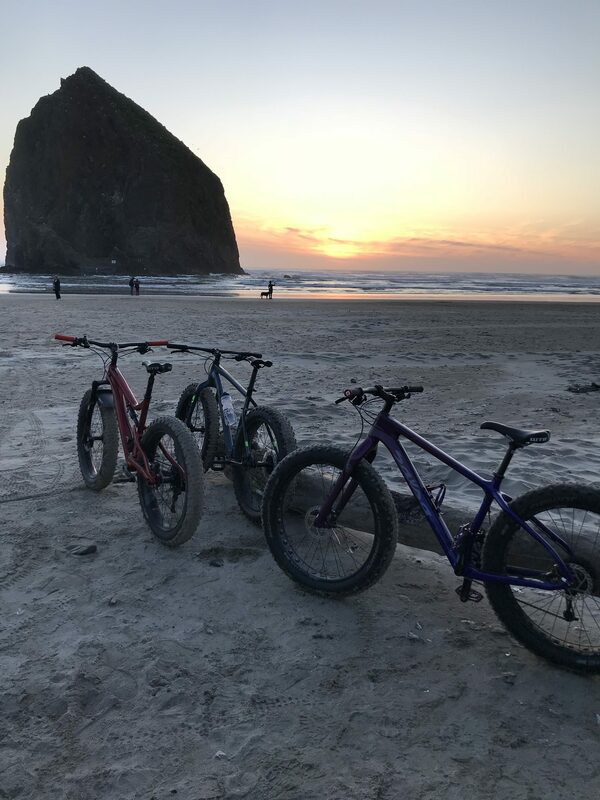 Register here now to reserve your spot at the Cannon Beach Fat Bike Festival! Tickets cost between $35 and $37. Sales end May 20th so get your tickets now! You’ll also want to reserve a place to stay before everything books up. Check out this link for some great places to stay. If you’re looking for more information, such as where parking will be available, look at the official event website. It’s time to get out and make some amazing memories with your family and friends this May. There will be fat bikes available for people to demo if they don’t yet have their own, but you should bring your own if you have one or borrow or rent one if you’d like to ride all weekend. This will be an amazing experience to share with family and friends on the Oregon coast. Tag the people you want to go with!